After a somewhat boring breakfast, we ended up at Sensory lab. Actually, I am beginning to enjoy this place more and more. 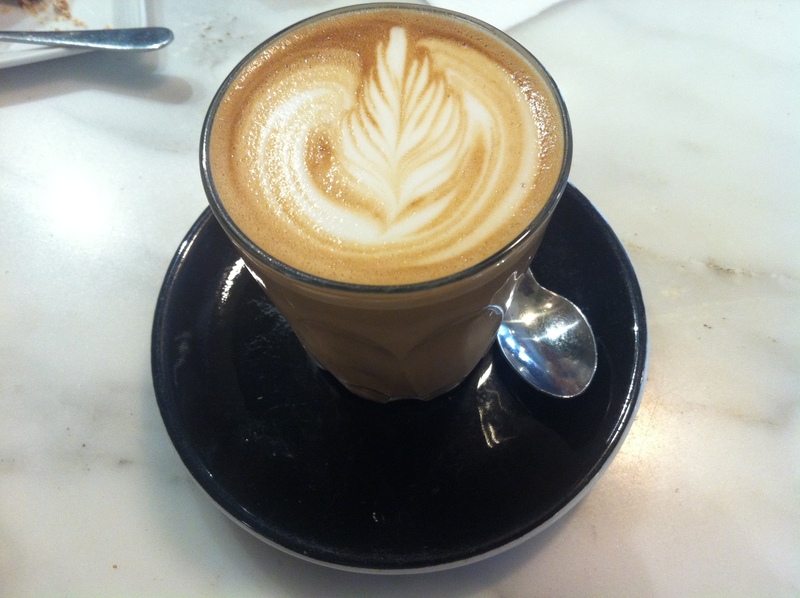 In the heart of the city, with an opportunity to try different coffee’s, and is open on the weekend. Well balanced, stone fruit nuances, juicy mouth feel and pineapple acidity, sweet clean finish. Frankly, I am an amateur, therefore, descriptions like this generally don’t help me much. I can taste a caramel, or chocolate hint in a coffee, and sometimes even a berry note. This was hard. This was written on the Sensory Lab website. The co-op is located in Mathira West District. Geographically it lies on the slopes of Mt. Kenya.Water from this mountain is used for processing coffee at the wet mill, which was registered under the co-operative societies act on the 10th January 1951. Rutuma was the first UTZ CERTIFIED cooperative in Kenya, and is seen as a pioneer and an example for others. The coffee itself was good. It had a nice aroma, very bright acidity, maybe that was the bright pineapple, and overall good feel in the mouth, Generally, a little bitter aftertaste, though this was expected, given the aroma was strong. I did have this in the latte form, and maybe should have tried this in an espresso style, or maybe even a filtered coffee. 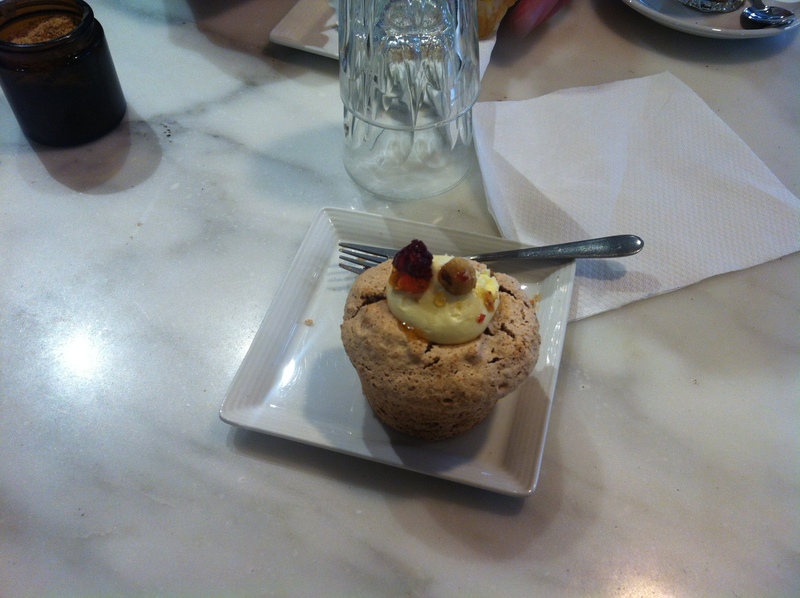 Along with the coffee, I tried a hazelnut meringue cupcake. Why ? I’m glad you asked. “You had me at hazelnut” I answer, as I am a big fan of the nut. The meringue part should have given it away though. I really didn’t enjoy this, the texture was all wrong for a cup cake, though points for trying. it just wasn’t me. « City Wine Shop, 159 Spring st.